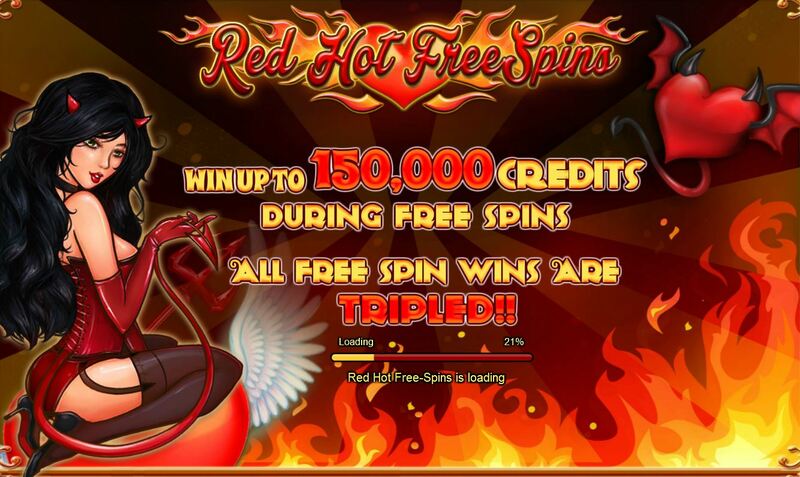 Red Hot Free Spins slot by Amaya features a red She-Devil which also doubles up as a wild on reels 2 and 4. 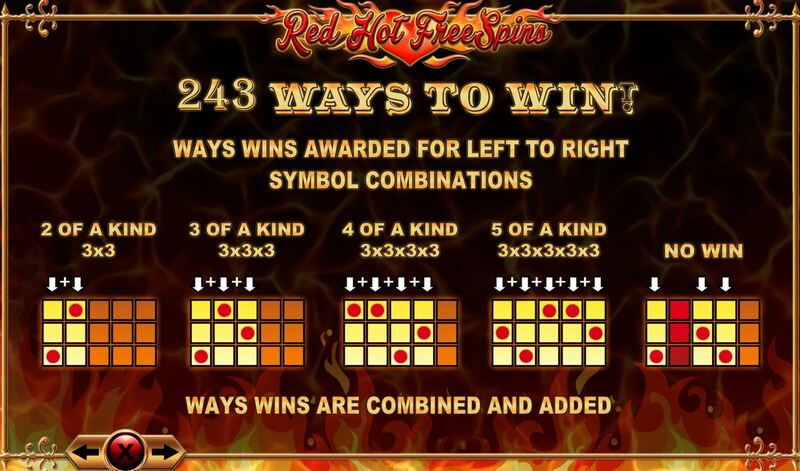 There are 5 reels with 3 rows and 243-ways to win along with a bonus round of 15 free games with prizes tripled and retriggers available should you land 3 scatters anywhere in view. 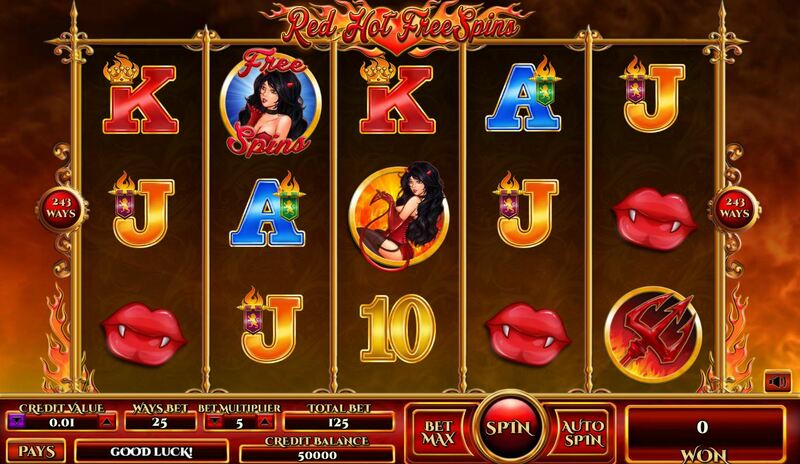 Miss Red Hot kneels in her basque and pays a scorching 200 x stake for 5-of-a-kind as the highest-paying symbol. 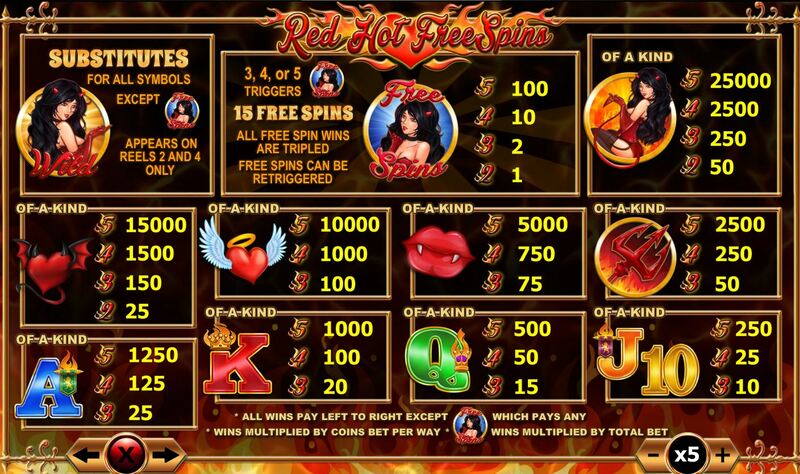 The game pays 94.98% RTP and is actually identical to Amaya’s Grand Prix slot….